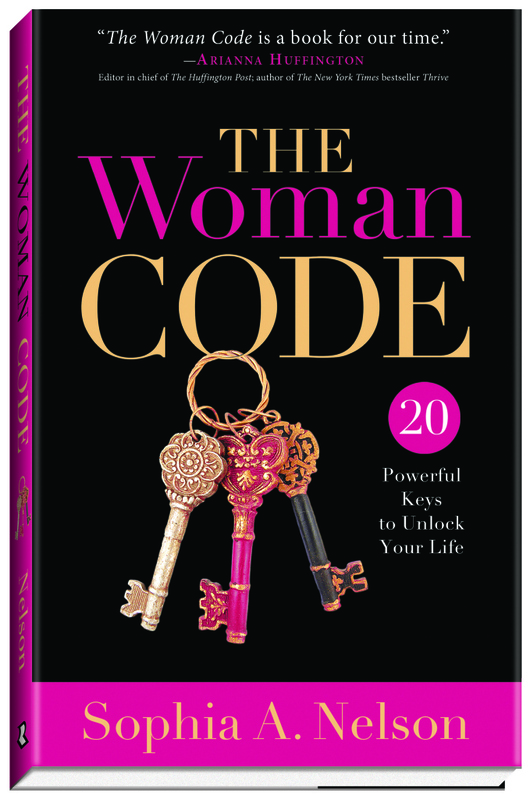 I just finished reading The Woman Code by Sophia A. Nelson, which offers 20 Powerful Keys to Unlock Your Life. Sophia offers encouragement and challenges in this book to get you motivated for success. Women tend to look at their friends and husbands/boyfriends (or all men in general) for validation and purpose. We forget that there is so much more to us than who we marry or who we are associated with. In truth, God created us all as unique individuals with a purpose for our lives. We can only find that purpose when we dig deep inside and begin to know ourselves better than anyone else knows us and better than we know them. This requires balance, boundaries, priorities, and a relationship with our Creator. The book starts off talking about how we all live by a code whether or not we realize it. The code resides deep inside us and naturally governs what we do. We have values, morals, things that we will tolerate and things we will not. There are certain types of people we blossom around and certain types that deplete our soil. We have things in our past we would like to forget and things that we never want to forget. These things, good or bad, make us who we are but they don’t have to define us. Say you made a really bad mistake. Does that make you marked for life? You cheated on a test or you were responsible for getting someone fired from a job. Does that make you a cheater, liar, or enemy to all co-workers? No! What if you’ve had one failed relationship after another? Does that mean you will never have a successful one? No! What about the opposite? Say you did something wonderful. Maybe you were prom queen or you made the highest score on your SAT or graduated from college with the highest honors. Does that mean that for the rest of your life you can never fail? Are you put under pressure by others to achieve the greatest accolades for the rest of your life? No! All you need to do is what God created you to do. Your successes and failures are not labels you wear for the rest of your life. How can we avoid getting stuck in a trap of failures and pressure to succeed? We need to learn how to operate within the code of our lives. This includes our personal codes, emotional codes, spiritual codes, professional codes, and relational codes. What happens when things get out of balance in our lives? The Code doesn’t work right and we begin to focus on our failures, pressures, stresses, and anything else that threatens to take us down. The Woman Code is a book that can help women restore balance in their lives, help them learn to guard their hearts, and help them find and live within their purpose. It can help women be better wives, mothers, friends, daughters, sisters, co-workers, bosses, and ministers. If you are struggling to balance your life, I recommend this book to you. Want to know the time-tested, yet timeless secrets to living a purpose driven and fulfilled life? Are you successful professionally; yet tired of being weary and worn out? Unsure of why you don’t have the life and love you desire? Want the formula for being a powerful AND compassionate leader at work that others will follow? Are you searching for more life balance? For deeper relationships, deeper connections, and a more faith-filled spirit? I received The Woman Code from Revell/Baker Publishing Group in exchange for a fair review.